In fostering an animal not only are you helping in the cause to save the life of that animal but also allowing a rescue to have space to rescue another dog from a kill shelter. Fostering an animal also gives you a great feeling that you are making a difference in the lives of these animals that have no voice. Please consider becoming a foster for your local rescue!! You can find our foster-info on this page. In order to foster a dog from Second Chance Chi Rescue, start by reading the foster-info page, then you will need to complete a application stating vet references that will be checked and consent to a home check so we can be sure the dog is being fostered in the right home. We will bring the dog you wish to foster with us to make sure he will be at ease in your home. Are there any fostering requirements? Yes! You must complete a foster application in full and all information provided by you must be able to be verified. Any unverifiable information will void a application and you will have to resubmit the application for approval. Anyone submitting more than two unverifiable applications will be banned from fostering for Second Chance Chi Rescue. To avoid picking the wrong dog to foster we suggest that you fill out the foster-info application honestly and find the time for the home visit to meet the dog you are looking to foster. When we do the home visit we will bring the dog with us to make sure you are the right fit for each other and that you both feel comfortable fostering this dog in your home. Are pets for foster healthy? Yes! Second Chance Chi Rescue dogs up for foster will be fully vetted for health at time of rescue. They will receive their shots and microchip and vetted for health and may have medications at the time of fostering that the foster will have to administer. Second Chance Chi Rescue will cover all medical and living costs of the dog being fostered. 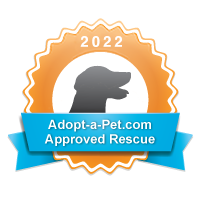 After you have read our foster terms and conditions and are ready to fill out a application to foster for Second Chance Chi Rescue, You can find the application on the button below.